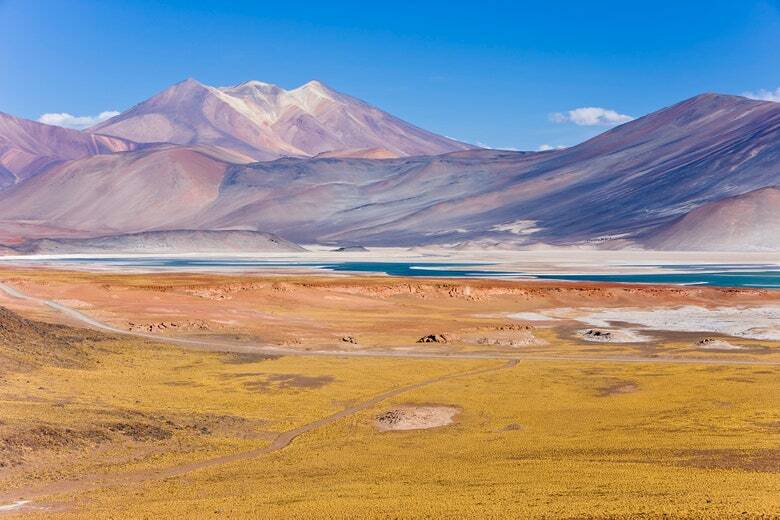 Certainly, the journey is the destination in the humbling, dry high desert of Atacama. With its surreal, Mars-like geography primed for silent reflection, head out for a morning horseback ride or enjoy a walk through the Valley of the Moon, over vast glistening salt-meets-rocky flats and radical dunes. An all-day excursion to Lagunas Altiplanicas is where mountains loom in the distance and alpaca-like vicuñas roam nearby dreamy teal lakes. Later, feast on a lunch of quinoa, roasted vegetables, and local Chilean wine, enjoying some of the best views in Chile. Obviously, stargazing is requisite (preferably at the ALMA Observatory, and if you like soaring to new heights, a sunrise hot-air balloon ride gives new meaning to floating. Where to Stay: Seamlessly blending into its extraterrestrial landscape, the sublimely striking boutique hotel, Tierra Atacama, once a cattle corral, fills its lovingly sparse 32 rooms with earthy textiles, adobe walls, soft cowhide rugs, and outdoor showers. Slough away dry skin at the on-property spa with local desert salts and white clay and afterward, replenish further with a swim. In the evenings, guests sit around the terrace’s crackling fire pits with Pisco Sours infused with rica rica (a local aromatic herb) as the blazing golden-pink sun sets over the majestic Andes.